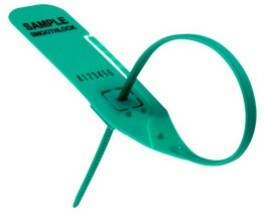 Smoothlock, bag security seals - Buy now online. 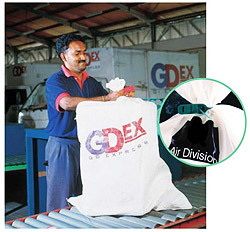 Smoothlock is a polypropylene, pull tight, security seal, suitable for use with courier bags, mailroom bags etc. It is designed for quick and easy application with a side tear off, tool free release panel and is supplied in boxes of one thousand seals. Pre printed with sequential numbers, it is normally available for dispatch within 2-3 days. Polypropylene, 300mm length, pull tight, security seals. 5mm width, pre printed with sequential numbers. 300mm length 1,000 seals @ £126.00 excl VAT. Contact us for alternative size/options.